Skylar Rojik takes a shot during a home game last season. Photo Courtesy of Skylar Rojik. 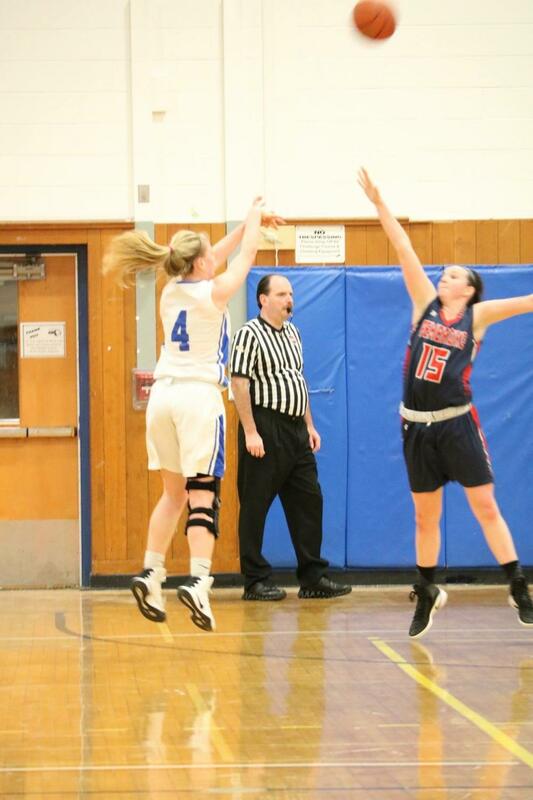 SHS senior Skylar Rojik, one of this year’s tri-captains of the girl’s varsity basketball team, is back on the court following a leave of absences for six months due to her third knee surgery. Rojik’s right knee has been injured while playing both soccer and basketball for SHS. With her first home game on January 9th, Rojik is back and ready to go. As a senior, Rojik hopes to have her best season yet. Her teammates report they are happy to be regaining one of their starters. Senior and fellow captain Lauren Montgomery said Rojik is a “true player.” “The team missed her dearly. She brings determination to win and enthusiasm to influence the team,” she said.